An arcade symbolizes fun and affordable carefree times for all visitors. If you thrive on gaming, then starting an arcade business may be right up your alley. 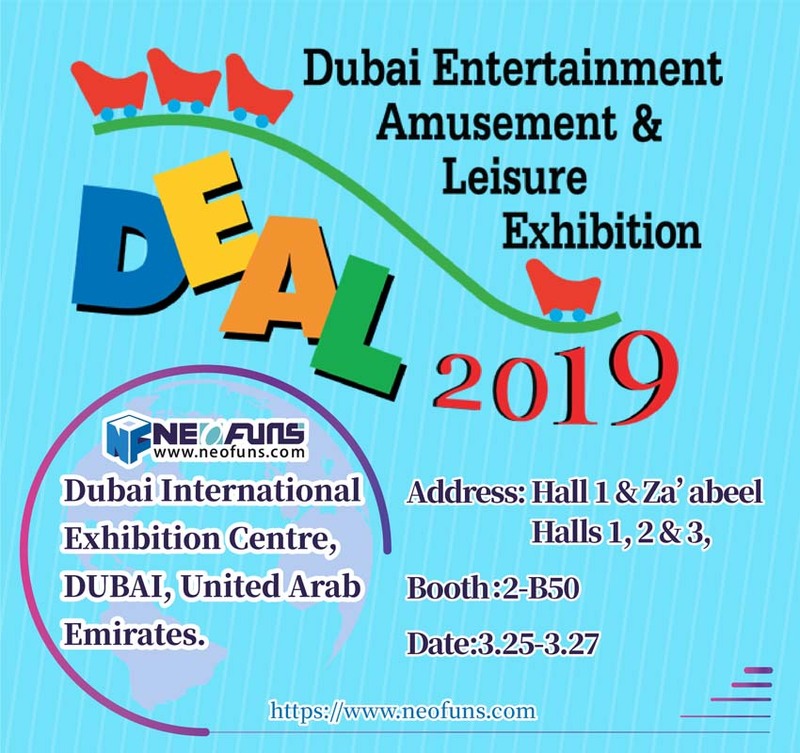 An arcade symbolizes fun and affordable carefree times for all visitors where young and young-minded alike can enjoy a test of skill against a machine. If you thrive on gaming and providing a form of ageless entertainment, then starting an arcade business may be right up your alley. Although the cost for an afternoon or evening of fun is among the least costly forms of entertainment, start up costs for this type of business typically run high. Here are several things to consider when you are considering opening an arcade business. If you are starting an arcade business, you should be a person who loves arcade games. Not just playing them but all aspects of them, as the job includes maintenance, ordering and advertising of arcade games. In fact, your daily routine will probably include repairing out-of-order machines, cleaning machines when people spill stuff on them, acquiring new machines and developing new advertising strategies to help your business stand out from the competition. Traditional arcades. This type of arcade is typically visited by families and young people looking for a social gaming experience. Barcades.This type of arcade is generally visited by people looking for the retro arcade experience of their youth, but who stay for the wide selection of beer. A famous example is Barcade in Brooklyn, New York, which prides itself on its classic video games and craft beers. Arcade/restaurant combo. This type of arcade is generally visited by both families and co-workers looking to blow off steam and eat in a social environment. A well-known example of this is Dave & Buster’s, an American chain that provides a full-service restaurant and arcade entertainment. Video arcade machines.These are the traditional staple of any arcade. Examples include popular fighting games such as Street Fighter IV and classics such as Pac-Man. Pinball machines.You can get pinball machines that function mechanically, digitally or using some combination of the two. These games are great for customers who like to immortalize themselves with a high score. Ticket redemption games.These types of games allow players to play a skill game for a ticket reward. 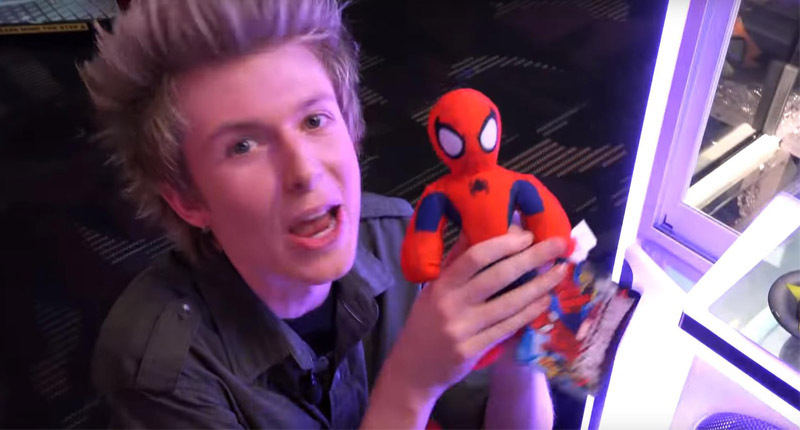 They then redeem the tickets for various types of prizes. A popular example of this type of game is Whac-A-Mole. Interactive games.The idea behind this type of game is to involve other body parts then just your hands. Popular examples include Dance Dance Revolution, Billiards and air hockey. Merchandise games.This type of game provides the player the potential of winning a prize immediately upon completing the game. 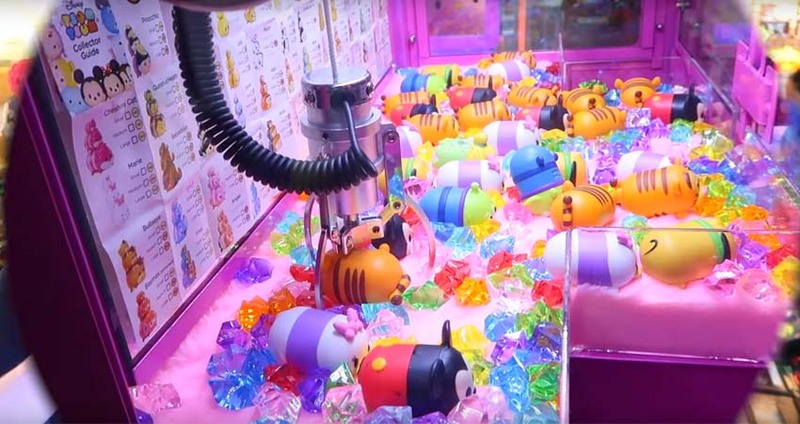 A familiar example of this genre is the crane and claw machine. Leave a minimum of two to four feet in front of your games open so that people can stand in front of the machine. Bunch games side to side or back to back to save space. 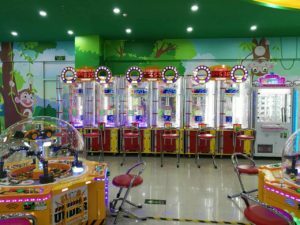 Group your machines based on the type of game such as arcade games, ball-shooting games and redemption games, as well as based on genre such as action, racing and fighting games. This helps your customers find the types of games that they want to play easily. In most states, you are required to obtain a license specifically for running arcade games. For example, in New York, you are required to get an Amusement Arcade License if you will be running 10 or more arcade machines. If you will be selling food, you need to be licensed by your local health department. If you plan to play music in your arcade, look into getting a blanket music license that allows you to play music from a large catalog of artists.